First coin in a new series! Order yours today. The eastern prickly pear is a low-spreading cactus with large, round pads that are covered with long, sharp spines and tiny, hard-to-see barbs. Its name is inspired by its green, pear-shaped fruit that turn red as they ripen in autumn. From June to August, the eastern prickly pear is also covered with large, yellow and orangey-red flowers that are so attractive people take the cactus home to plant in their own gardens. This practice, plus habitat loss are the greatest threats to this endangered plant. A beautiful gift! Order yours today! 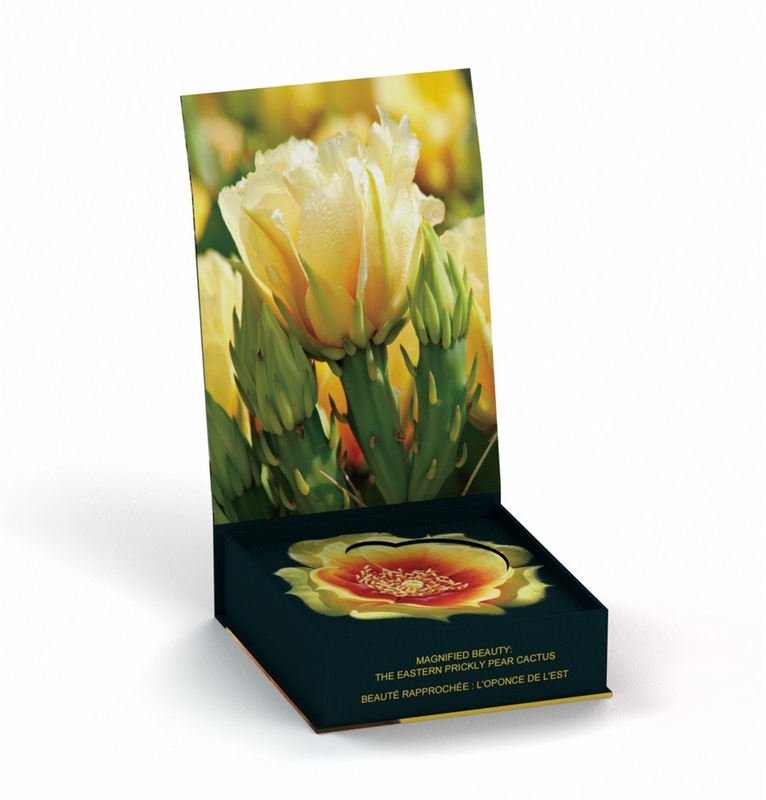 • Your coin comes with a unique beautiful custom box that allows you to view the full coloured image of the flower as nature intended it to be. 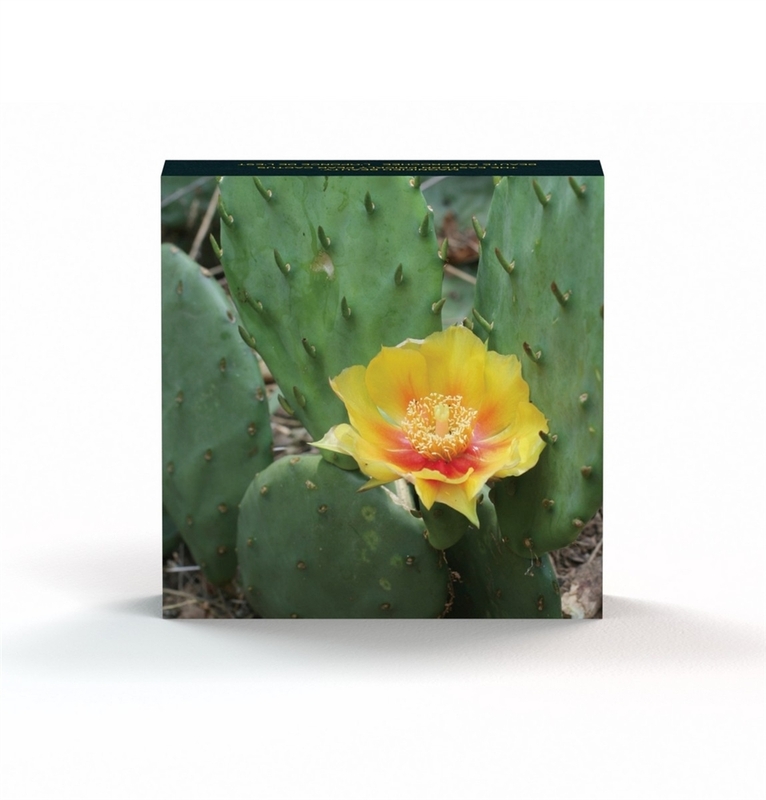 • The first coin in our exciting new series features a gorgeous close up of a Canadian cactus; the rare and endangered eastern prickly pear—in colour. 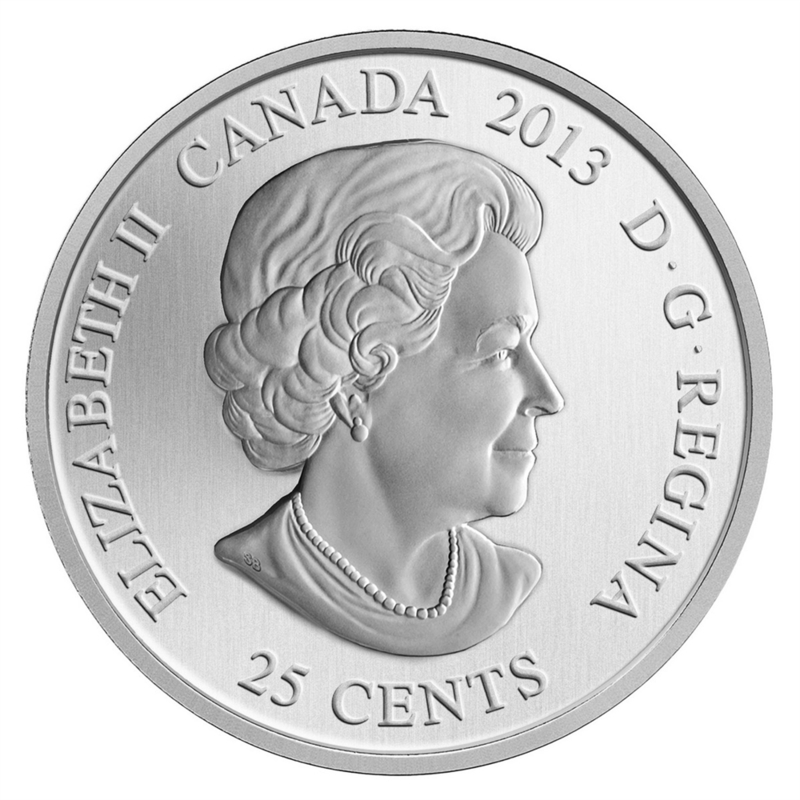 The image fills the entire face of your coin in full colour! • The ideal gift for your friends who are gardeners, botanists as well as nature and flower enthusiasts eager to celebrate Canada’s floral treasures. Your coin was designed by Canadian artist Claudio D’Angelo who created a stunning close-up of the eastern prickly pear’s summer bloom—with colour expertly added to the design to showcase the beauty of this yellow and orangey-red flower in remarkable detail. Your coin is the first issue in an exciting new series that brings a magnified perspective to an all-time favourite theme—flowers. 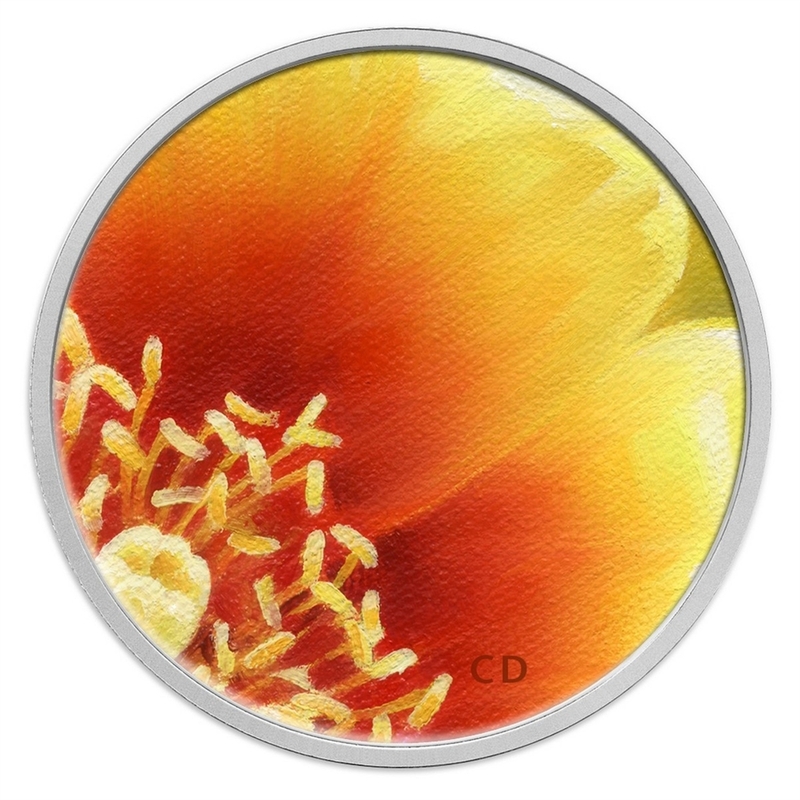 By their very nature, flowers are best celebrated with colour, and this coin has been selectively coloured in painstaking detail to showcase the beauty of the yellow and orangey-red flowers that bloom on the eastern prickly pear; a surprising cactus indigenous to Canada that grows on the nation’s southernmost point—Point Pelee in Ontario. 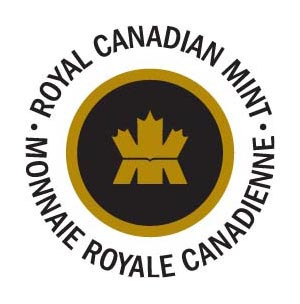 Your coin is encapsulated and presented in Royal Canadian Mint branded environmentally friendly custom paper box.